Fence materials come in multiple options including wood, steel and vinyl. One can select the most suitable fencing material based on their budget. One of the most common of fencing materials, wood is relatively inexpensive but the final cost will depend on the type of wood and complexity of the design ranging from a simple boundary fence to a charming picket fence. While easy to install, wooden fences are not particularly durable and will require ongoing maintenance. Steel is strong, durable and easy to maintain, and is the perfect fencing material for the security-conscious. Installed as feature panels, solid panels or palings, steel fences keep the property secure as the fence can be designed without foot or hand holds, making climbing difficult. 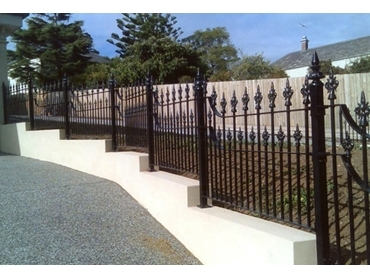 Steel is appropriate for pool area fencing or coastal areas, but will need to be galvanised to prevent rust. Hollow vinyl fences can simulate the look of wrought iron, wooden pickets and other materials, and are also easy to install. Though requiring very little maintenance, vinyl fences can be expensive. Vinyl-coated wood fencing is also available where the vinyl has been heat-applied to the wood. Chatterton Lacework specialises in the manufacture and distribution of wrought iron components, gate and fence accessories, aluminium building products including balustrade components and lacework, and a large range of fencing products.